The Women's Kickback To Front Stripe 3/4 Length Sleeve Top from Royal Robbins has been designed with travelling in mind. It is super soft and comfortable next to skin and offers UPF protection which is essential when worn in sunnier climates. 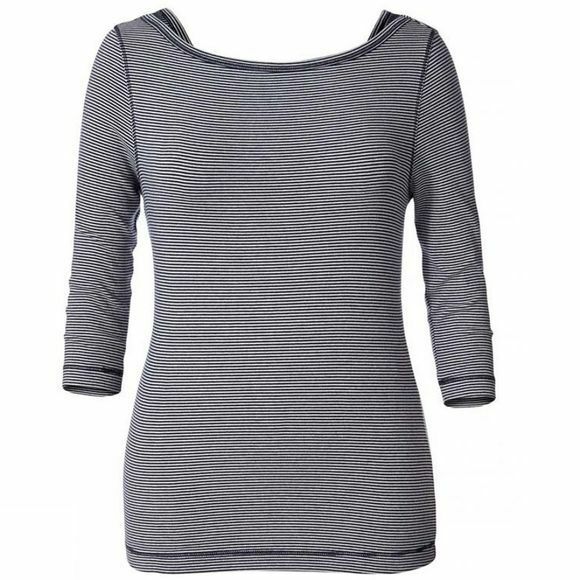 It is wrinkle resistant so its perfect for multiple days and can be washed and worn with out needing an iron before you go out in public, in addition to all this it has also been designed to be worn both ways, so you can choose which flattering neckline you prefer.